We were inspired by the theme "Why Human?" to create a project that explores the boundaries between the real world and the digital world. We also like to eat grapes. This is a four phase, four grape experience. In each phase, participants are in Virtual Reality. 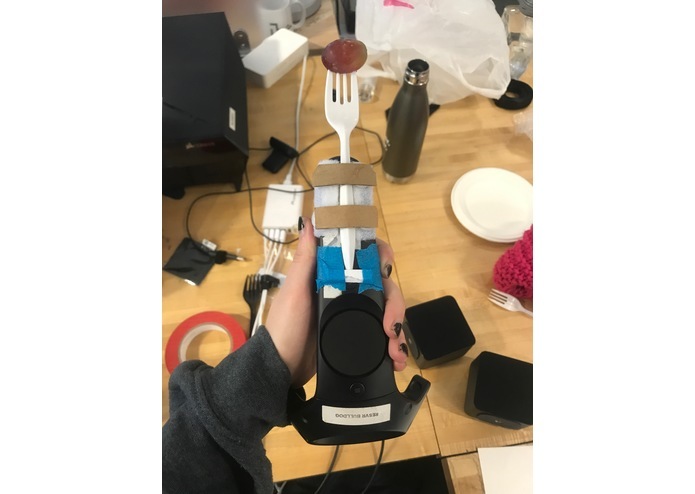 They are handed a Vive controller with a fork attached, and there is a grape on the fork. They see the controller, the fork, and the grape in Virtual Reality. The participant's task is to eat the grape. 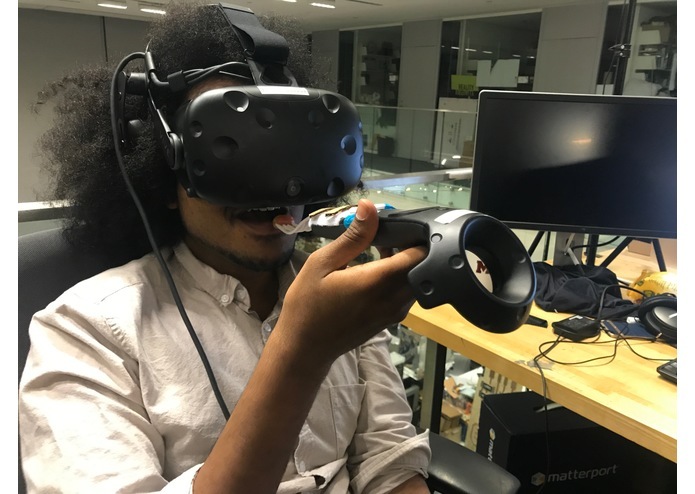 However, the fork they see on the Vive may not be exactly where the fork is in real life. This leads to some hilarious results. Phase 1: Normal Participants see the fork in VR at the same position as it is in real life. Phase 2: Translation Participants see the fork in VR about an inch to the left of where it is in real life. This causes them to miss their faces. Phase 4: Flavor Participants eat the grape, but the grape isn't actually a grape, it's a sour candy. We built the project using C# and Unity for the HTC Vive, and grapes. We did a lot of experimentation on which foods are best. Technically everything went pretty smoothly, the hardest part was prototyping a believable experience. It works really convincingly well. It's a lot of fun watching people be fully convinced they're putting a grape in their mouth, but actually putting a grape right next to their face. It's entirely possible to alter your perception of the way the human world works using virtual reality technology.